Films being adapted for television isn’t exactly a revolutionary concept as more and more movies are slated to hit the small screen. Still, there’s definitely one project worth getting majorly excited about, and it just so happens to be airing on Disney XD. The digital cable channel will bring a television adaptation of Big Hero 6 to its lineup in 2017. Inspired by a Marvel comic, the 2014 hit followed the story of a young prodigy named Hiro who befriended a very lovable and very inflatable robot called Baymax. Hiro, Baymax, and their friends spent the film attempting to solve a mystery threatening their city of San Fransokyo. Considering that the end of the movie ended with Hiro and pals on the verge of even more adventures, Big Hero 6 is the perfect project to be continued on Disney XD. According to Variety, the series will be executive produced by Mark McCorkle and Bob Schooley. The duo created and produced to Disney Channel animated series Kim Possible to great success, and they should be able to create a series out of Big Hero 6 worth watching for the whole family. Disney XD made the announcement at the annual upfront to try to sell advertising inventory for the next year. 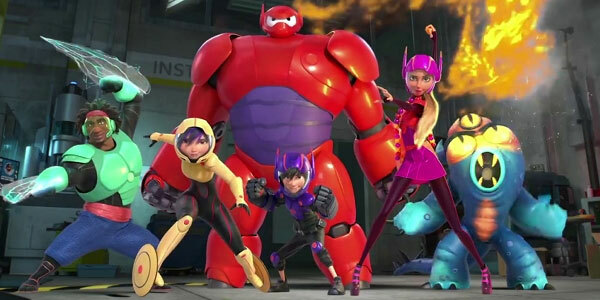 A television version of Big Hero 6 could boost sales significantly for the network. After all, the movie brought in upward of $621 million worldwide. To give a bit of perspective on that number, that revenue made Big Hero 6 the third highest-grossing film in Disney history to that point, third only to beloved megahits Frozen and The Lion King. Of course, Big Hero 6 was a critical success as well as commercial. The movie took home the Academy Award for Best Animated Picture in a year of stiff competition and was so widely-celebrated that a big screen sequel seemed inevitable. Even Marvel head honcho Stan Lee seemed to consider a second installment a sure thing. While the Disney XD series doesn’t necessarily mean that Hiro and Baymax won’t be coming back to theaters, it does mean that the characters will have plenty of new adventures under their belts by the time that a Big Hero 6 2 could be released. Frankly, considering how fabulous the franchise could well be, more Big Hero 6 can only be a good thing. This doesn’t mark the first time that Disney is bringing a hit animated film to TV in recent years. The Lion King inspired a series called The Lion Guard about Simba and Nala’s cub Kion, and a show based on the Rapunzel-inspired Tangled will hit the Disney Channel in 2017. There’s no news yet of when exactly the adaptation of Big Hero 6 will be coming to Disney XD or if any of the original actors will be bringing their voice talents back to the franchise, but just knowing that the series is on the way makes 2017 seem awfully far away.